If Montolivo is fit, he should definitely play. It would be a great morale booster for our emotionally depleted team. Also, can someone please food-poison Di Natale? (That's not wishing injury on players, right? He would miss only this game. ) In almost all his games against us, he would have a brilliant performance. I can only think of one bad game for him for so many years now. Against Juventus, however, this guy is just totally opposite. but Bonera is back from suspension, correct? (11-29-2014, 10:44 PM)xudong Wrote: but Bonera is back from suspension, correct? Expected lineup is: Diego Lopez; Rami, Mexes, Zapata, Armero; Van Ginkel, Essien, Bonaventure; Honda, Menez, El Shaarawy. Feels very much like the same ****, different day. I like the inclusion of Van Ginkel, having Rami as a fullback and the exclusion of Torres. 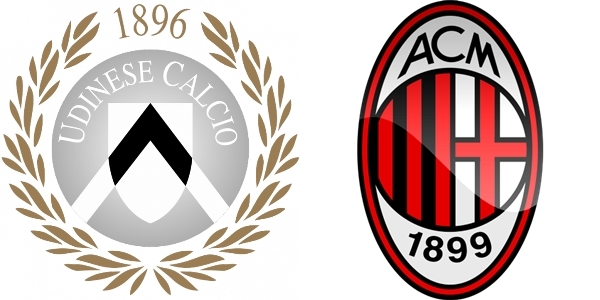 (11-30-2014, 11:39 AM)ACMILAN1983 Wrote: Expected lineup is: Diego Lopez; Rami, Mexes, Zapata, Armero; Van Ginkel, Essien, Bonaventure; Honda, Menez, El Shaarawy. OFFICIAL XI vs Udinese (4-3-3): Diego Lopez; Rami, Mexes, Bonera, Armero; Van Ginkel, Essien, Bonaventura; Honda, Menez, El Shaarawy. From Milan Fans bage on facebook. Seriously those 3 upfront with the addition of Bonera!? What is Inzaghi hoping for? Mix it up man. You're a mid table team right now. Take a chance already.